I've shared my favorite TV shows returning and premiering this Fall, listed out some wishlist items I hope to purchase / have already made for this season and now I wanted to share what I actually want to do this Fall! 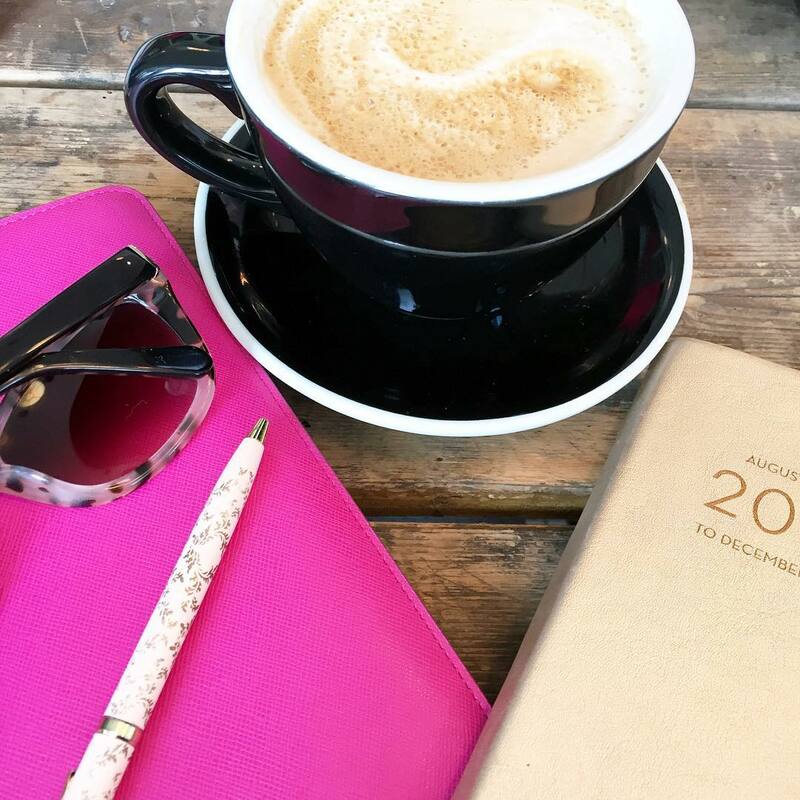 If you haven't noticed yet - I'm a big fan of lists and thought why not make one for a Fall Bucket List!!! We go apple picking in a cute little town and usually go to the nearby Nashoba Valley Winery after. We've done this for about four years now and it's a fun little tradition that we have! Once all the apples have been picked I bake an apple pie from a recipe my sister shared with me!! I'll share it with you all once I actually make the apple pie!! Going with the theme of apples, having an apple cider doughnut is almost as important as the first PSL of the season! Carving pumpkins is good in theory and then they go bad so much faster than you imagined!! Last year I decided to spray paint and use glitter to decorate our pumpkins and they lasted from two weeks before Halloween to right after Thanksgiving!! I'll definitely be repeating that this year! 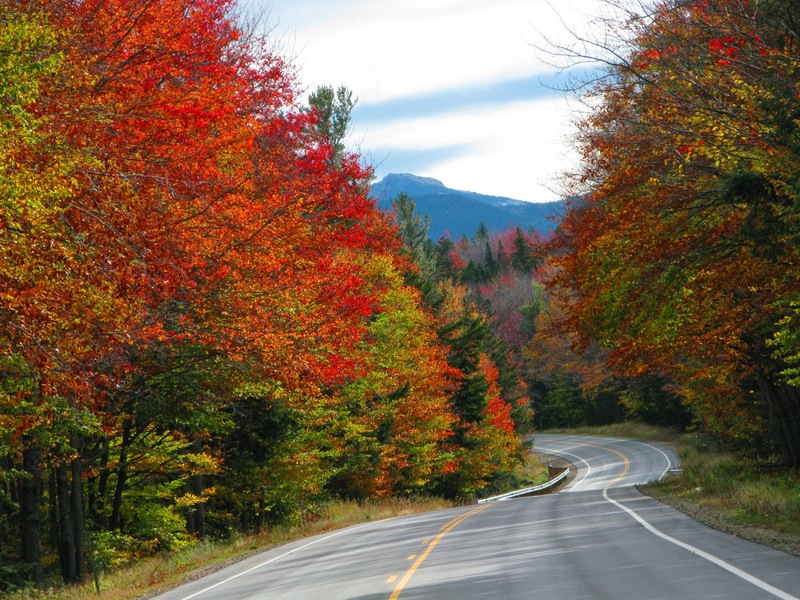 The Kancamagus Highway in New Hampshire offers a 34.5 mile scenic drive, with stops along the way to take photos of some of the best Fall foliage in all of New England. With Halloween landing on a Friday night and my friend throwing a party - this is a perfect excuse for me to dress up for the first time since college! Have you dressed up in any fun outfits?! We have friends that have a great fire pit in their backyard and for the past few years we try to get together for a little back yard party and s'mores will definitely be on the menu this year! I mean can you even deal with this picture?! I don't think I've ever properly "played" in the leaves before and so I'm putting this on the list - bonus points if Gary joins in on the fun! Fall in New England is hands down the best time of year and also my favorite - the trees are all changing colors, it's not frigid and there is a crispness in the air!! Growing up in Florida I longed for the days of having Fall feel/look how it does in the movies, not gallivanting around in my shorts! I'm sure in a few years I'll be wishing I still lived down south, but for the time being I'll enjoy just visiting my family and friends when I need a little "hot" fix! Do you have anything on your Fall Bucket List? You're so lucky to live in an area that gets the pretty as-seen-in-the-movies type of fall. I like your spray painting pumpkin idea - you'll have to share pictures once you finish! OMG that pug, is that not the cutest! Girl, I wish I could go on THAT fall foliage drive, right now. So pretty! Feed me all the s'mores, YUM! I can't wait for the leaves to start changing, apple picking and baking with pumpkin! I'm so jealous of your NE fall! In SC we don't have as much leaf changing or apple picking. 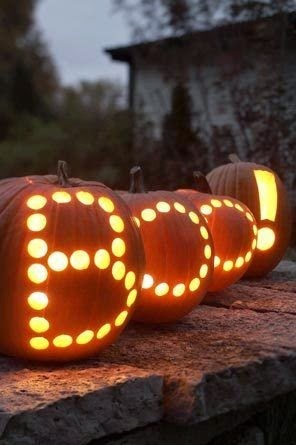 I like the pumpkin spray paint idea! I'm so tired of pumpkins rotting days after craving them because of our 85 degree temps! S'Mores and Fires (and candles!) are the best about the turn of the season... okay maybe the wardrobe and food too. That is seriously why I love the Fall so much! When you live up there it is such stunning weather......nothing better than that crisp weather, bright blue skies and shining sun. I use to ski at Nashoba Valley twice a week growing up after school......naturally it is now associated with alcohol ;-) That pug though.....can't handle it want to squeeze him!!! I can't wait for Halloween decor and horror movies! That seriously excites me!! This is the perfect list!! Love fall! I'm all about not carving pumpkins this year too. It's just so much work for how long they last. I've never been apple picking, but we do the pumpkin patch thing sometimes. I'm so excited for the fall foliage, I'm super jealous of you being up north because hear it's gorgeous. One of my bucket list items is to drive through Connecticut or Maine in the fall. bring it allll on! one of the biggest reasons i was happy to move to Atl (only 5 hrs fr hometown) is that i get real seasons! fall! scarves! boots! I'm beyond jealous you actually get fall :( We get a cold front coming through tomorrow! The high is only 83 on Saturday! I'm going to try your pumpkin idea this year since I obviously can't carve a pumpkin! And I'm obsessed with that last picture! SO CUTE!!! awww that last pic is the cutest!!! 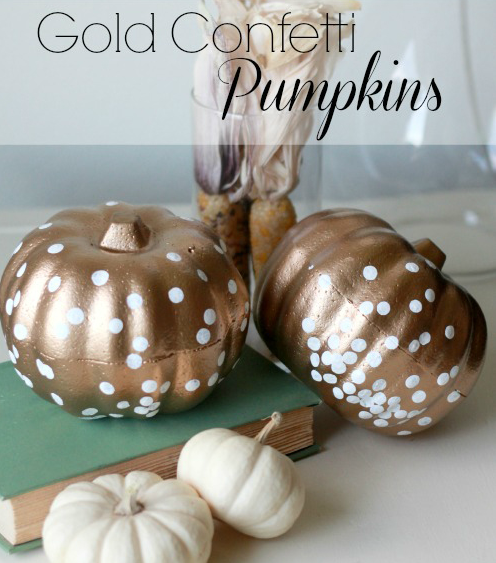 Love those gold pumpkins! I typically don't decorate too much for Fall, but this year I have and I love it! We are getting some mums for the front porch and already have some pumpkins and gords to put out! Bring on the cooler temps! Ok so this just made me really jealous because Fall kind if doesnt exist in Florida! :( omg that apple picking tradition sounds amazing!!!!! I wish the trees looked like that around here! Your fall sounds awesome! I definitely want to go apple picking. We are going to Maine this weekend so I am hoping for some fall foliage but it might be a bit too early- fingers crossed! Okay- I hear you, because I also get really excited about all my television shows coming back in the fall! Haha! Great list, babe! 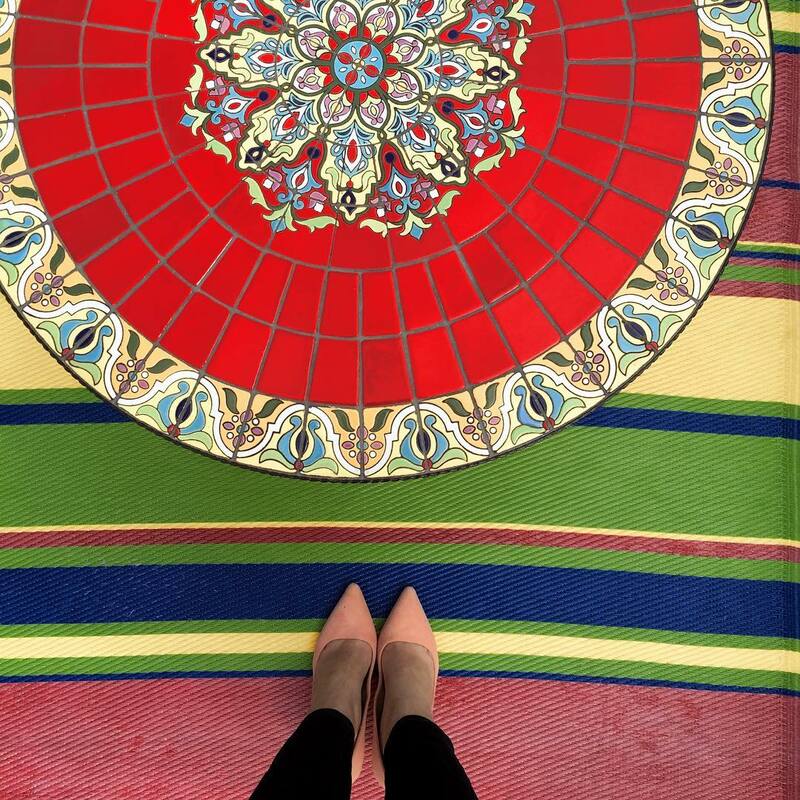 Hope you're having a great Thursday so far! One of the things I miss the most about living in Michigan in the fall is how pretty the leaves are when the trees change-- it seems like they go from green to brown here and dead here! haha, Apple picking is one of my favorite traditions too- and definitely the donuts and cider! You have totally gotten me excited about fall! What beautiful pictures! Love this post! Thanks for stopping by my blog and checking out my hair tutorial! 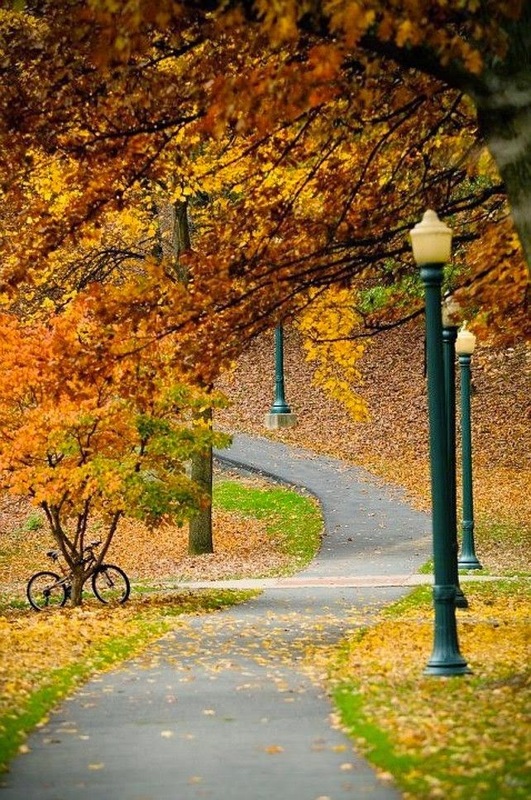 OH, that fall scenic drive looks gorgeous! You'll have to do that and post pictures! Awesome list cupcake! I was in New England a few years ago in October/November and it was breathtaking! What amazing pictures you'll have from that scenic drive this year. i'd say i def want to find a scenic drive.. i think somewhere up in NW NJ in the mountain areas I'm sure I could find one! Great list! I'm super jealous of your Fall color!! I love living in FL but I do get a little bummed this time of year because we totally miss out! Just yes!!! I want to do all of these things! Those pumpkins are so pretty! I love all the apple things. Can someone please send me some cooler weather? I want our leaves to turn...and I want to stop sweating as soon as I walk out the door! Apple Picking in North Georgia is definitely on my bucket list this fall. The picture of the dog in leaves made me laugh out loud! Fall is seriously my favorite! I am putting my fall bucket list together this weekend. 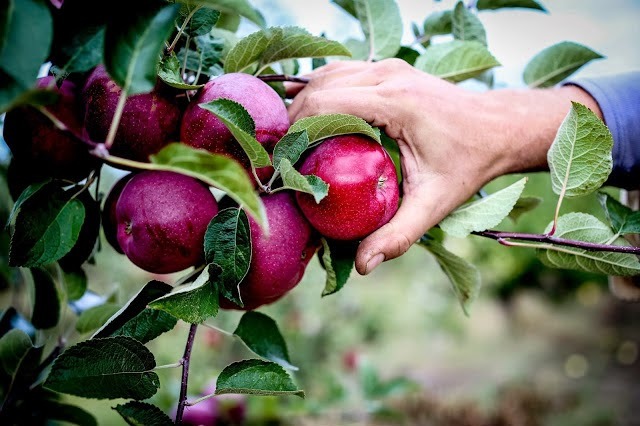 Apple picking is on my list for sure. Lots of baking to do! Such a great post! You make me what to come to New England in the fall! We are leaving NYC for a week up in New Hampshire & Maine in a few weeks. I can't wait to take in all the beautiful colors. Let me know if you have any favorites up there other than that drive. I love that smore set up... cute! I love all the colors of fall!!! We did the same thing with our pumpkins last year and they were so much better! Much cuter to see a glittered pumpkin than a stinky, rotten mess on your front porch. 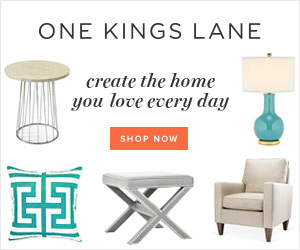 I need to add all of these things to my fall list as well! Especially apple everything and holiday parties. Loving all of these!!!!!! I've always wanted to take a fall foliage tour!!!! I hope you take tons of pictures! Can't wait for that post! And mmmmmm apple pie! 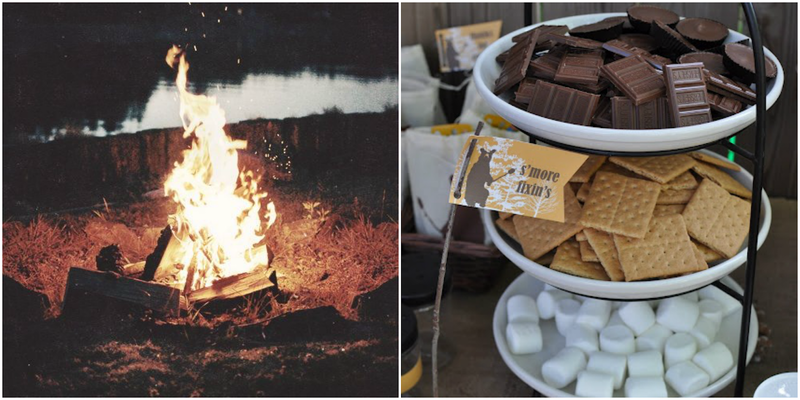 YES to s'mores and bonfires!!!! I haven't had a real, s'more in so long! MMMM! Love this, I love fall adventures. 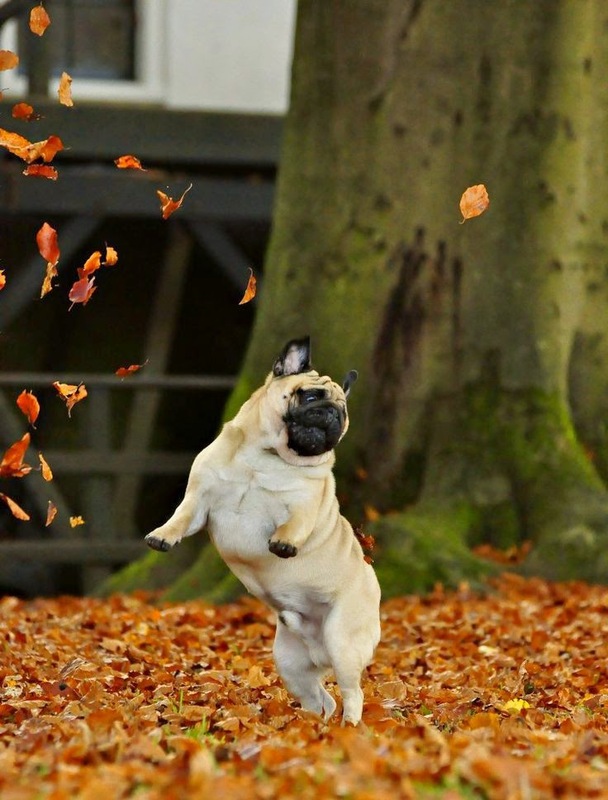 and that jumping pug is just the cutest. Wow!! I would kill for that fall foliage drive... That is my kind of thing!! I'm so excited that Halloween falls on a Friday night this year too!! Our friends are having a party too and I can't wait to dress up. Love your fall bucket list. My favorite part of fall is the changing of the leaves, I absolutely love the fall colors. Those tree lined streets are so gorgeous. Oh how I'm DYING to go back to Boston in the Fall (or just move there!!) because I've heard there's nothing that compares to the leaves changing in New England! I totally want to decorate pumpkins with Mia this year. They won't be the most picturesque... but she will LOVE painting them! New to your blog...I am on the New Hampshire/Vermont border. Better hurry for the drive, the leaves are turning fast! :) Just had our first frost last night.